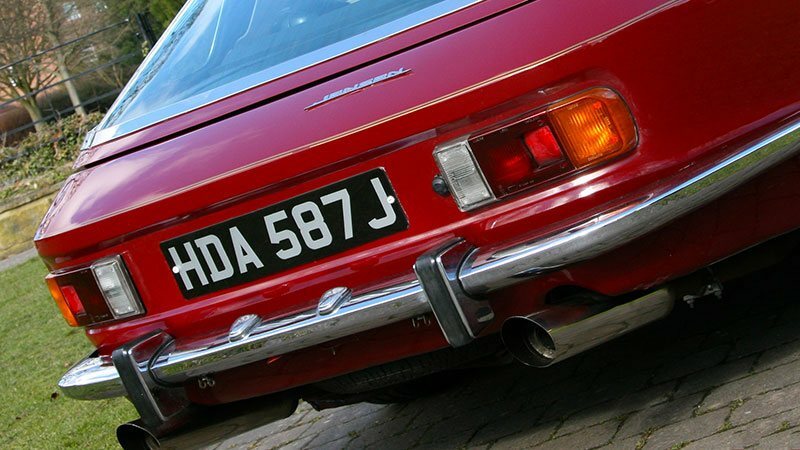 Why hire a Jensen Interceptor? A Jensen hire gives you the opportunity to drive something really rather special – a rare and iconic 1970s luxury classic car. The Jensen Interceptor is a grand touring coupe which was designed by an Italian company and hand built in the West Midlands. Chrysler powered, with superb, distinctive Italian styling and sumptuously appointed interior, this car looks fabulous, sounds fantastic and is a pleasure to drive. 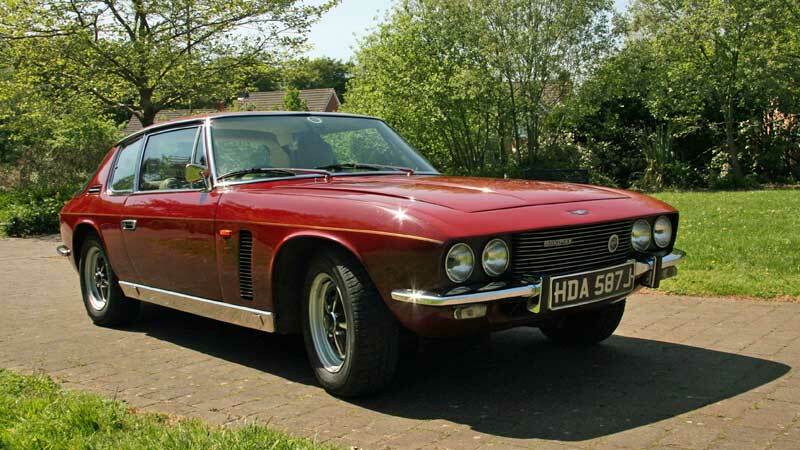 There are very few Jensen Interceptors for hire in the UK. Remind yourself of the days when the British car industry led the world with this luxury car hire. It makes a great gift for someone who fondly remembers the marque from the 1970s, or just has a great interest in historic cars. 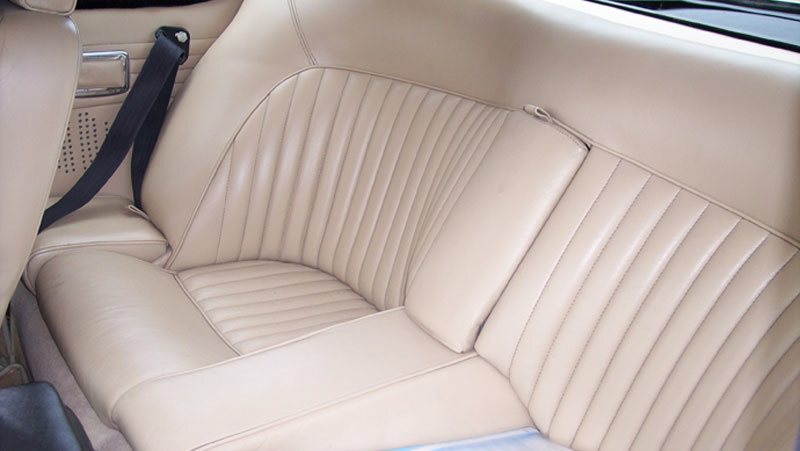 Our Jensen Interceptor MkII is finished in dark red and has a luxury cream leather interior. The Jensen is a British take on an American Muscle car, being powered by an American 6.3 litre V8 engine. In its day it was seen as an alternative to cars like the Aston Martin. With its fine quality cream leather interior and V8 power, it’s the height of British quality and luxury. Its stylish fishbowl rear window gives excellent visibility. This is a rare car, being one of only 696 right hand drive Interceptors being produced between 1969 and 1971. According to ‘How many left’ there are only 128 with the 6.3 V8 left on the road in the UK. 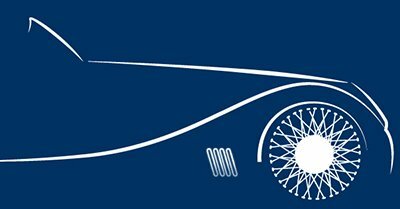 The British car industry was once filled with tiny but industrious enterprises like Jensen Motors, founded by Allan and Richard Jensen, in West Bromwich, Staffordshire. High quality engineering and craftsmanship, typical of the once proud and world–leading British car industry, was the hallmark of the Jensen factory. Jensen began by specialising in design and build of high quality bodies to fit other manufacturers chassis and engines. They first used the name Interceptor in the early 50’s. This early version of the Interceptor was superceded in the late 1950’s and early 1960’s by the 541 and CV8. In the mid 60’s they broke with tradition and commissioned a company called Touring, of Milan to design a car, and revived the name Interceptor. It striking lines were thoroughly modern. The Italian styled Jensen Interceptor was first shown at the October 1966 Earls Court Motor Show where it caused a sensation. The body shells were at first manufactured in Italy by coachbuilder Vignale of Turin. They were delivered to West Bromwich for assembly, where Jensen Motors dropped in the big V8 engines which were pure American muscle. Body shell production was, however, was soon brought back to West Bromwich due to quality problems. The Jensen Interceptor had similar performance to the Aston-Martin DB6, Jaguar E-Type, and Porsche 911S. However it was considerably cheaper than the Aston, much more than the Jaguar, and similar in price to the Porsche. 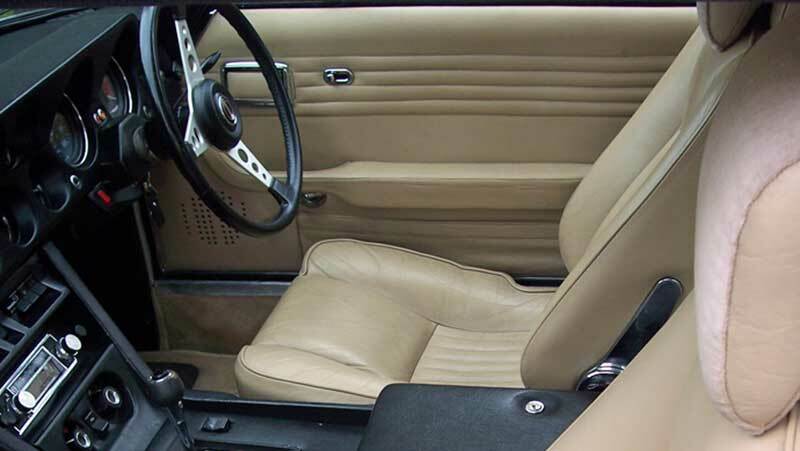 A sumptuously appointed grand tourer, with comfortable leather ‘armchair seats’ and electric windows, Jensen owners included celebrities such as Jack Nicklaus, Cream Drummer Ginger Baker, Princess Anne, and Henry Cooper. The Interceptor was big for a European car, though small by American standards. Front seat passengers were enveloped in splendor with leather-covered bucket seats, wood trim, and Wilton wool carpeting. The huge rear hatch offered substantial luggage space. The Birmingham factory produced about 600 Jensen Interceptors per year between 1966 and 1976. Just over 1,000 MKI models, 1000 MKII and 4,200 MKIII models were produced. However, by 1975 the company had fallen on hard times due to the then world-wide recession and problems with its Jensen-Healey sports car. Production of the Interceptor ended in 1976 when the company slipped into bankruptcy. A reorganized Jensen successor company then failed as well and the Interceptor was lost to the auto world forever. Memories of a car as good as the Interceptor are hard to kill off though, and there are still many enthusiasts. A Jensen Interceptor even starred in the film Fast and Furious 6. 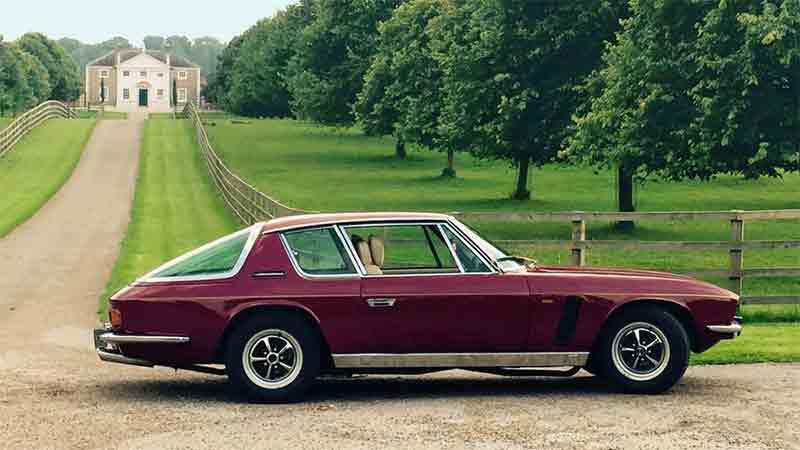 There are only about 200 classic Jensen Interceptors still on the road today, but you can still have the luxury of a Jensen experience with Jensen Interceptor Hire in Yorkshire.